This edited volume uses a ‘constructivist/reflexive’ approach to address critical infrastructure protection (CIP), a central political practice associated with national security. The politics of CIP, and the construction of the threat they are meant to counter, effectively establish a powerful discursive connection between that the traditional and normal conditions for day-to-day politics and the exceptional dynamics of national security. Combining political theory and empirical case studies, this volume addresses key issues related to protection and the governance of insecurity in the contemporary world. 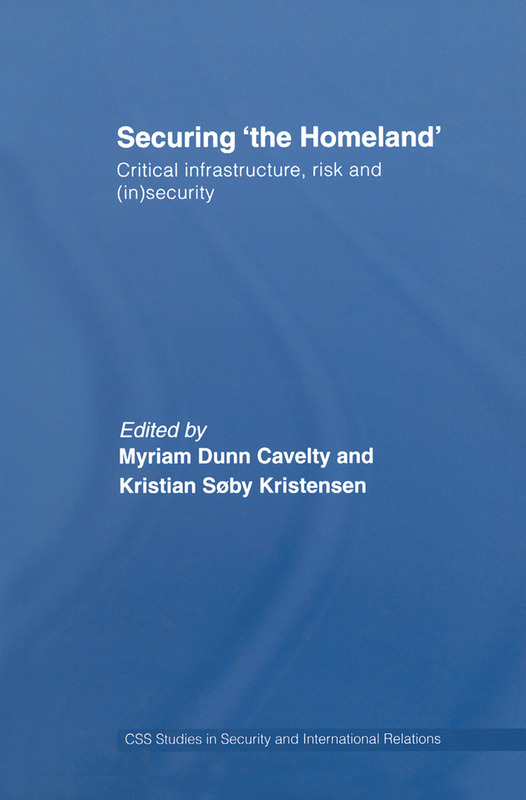 The contributors track the transformation and evolution of critical infrastructures (and closely related issues of homeland security) into a security problem, and analyze how practices associated with CIP constitute, and are an expression of, changing notions of security and insecurity. The book explores aspects of ‘securitisation’ as well as at practices, audiences, and contexts that enable and constrain the production of the specific form of governmentality that CIP exemplifies. It also explores the rationalities at play, the effects of these security practices, and the implications for our understanding of security and politics today. Myriam Dunn Cavelty is lecturer and head of the new risks research unit at the Center for Security Studies (CSS), ETH Zurich. Kristian Søby Kristensen is a PhD candidate working with the Research Unit on Defence and Security at the Danish Institute for International Studies. The CSS Studies in Security and International Relations examines historical and contemporary aspects of security and conflict. The series provides a forum for new research based upon an expanded conception of security and will include monographs by the Center's research staff and associated academic partners.